Set of 5 Nail Polish Corrector Pens Only $3.09 PLUS FREE Shipping! You are here: Home / Great Deals / Amazon Deals / Set of 5 Nail Polish Corrector Pens Only $3.09 PLUS FREE Shipping! 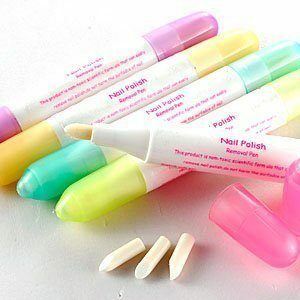 Set of 5 Nail Polish Corrector Pens Only $3.19 PLUS FREE Shipping! If you do your own nails, these tools are a must-have! Grab this set of 5 Nail Polish Corrector Pens for just $3.09 PLUS FREE shipping! That’s only $0.62 per pen! I DEFINITELY need these. I ALWAYS get nail polish on the sides of my fingers when I do my manicures, and reviewers say these are much easier to use than Q-Tips!